And give this FREE mockup with 5” x 7” card (2300 x 2300 px). I created this square mockup specifically for Instagram. 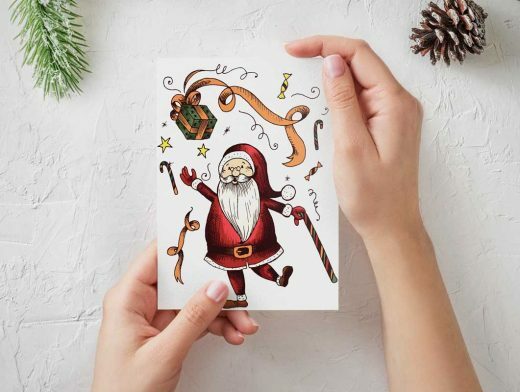 Use it for displaying your greeting cards, invitations, fonts or calligraphy on your website, shop and social media.Grab it and use it as you wish and have fun!